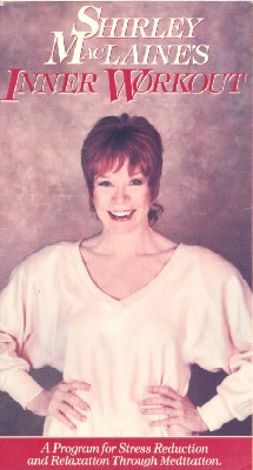 Actress and self-styled spiritual visionary Shirley MacLaine presents an "inner" workout for viewers who want to reduce the amount of daily stress they retain within their bodies. MacLaine introduces chakra work and provides guided meditations that prove to be very relaxing to some students. Onscreen colors and visual patterns are shown to help viewers let go of their worries and concentrate on soothing images. MacLaine advocates the value of these exercises designed to increase inner peace within each viewer's mind, body, and soul.